I looked out the window to see other tall buildings as I'm located on the 19th floor of our building. People just walking around, cars passing down below unaware though it was really shaking up here. No photos/pictures as it's probably not centered in Makati. Just wait for the latest news of the earthquake and hope it's not bad. Will look for the official news from Philvocs (Philippine Institute of Volcanology and Seismology) for this one. Update: The Inquirer reported it's an intensity 6.2 earthquake that hit metro manila today, March 25, 2010. I'm the only one in the this freakin' office using Windows Vista since I need to test and learn if our company needs to upgrade our mostly Windows XP to Windows Vista or maybe straight to Windows 7. My Windows Vista Basic runs fine (but not my Lenovo Ideapad Y430 with a new LCD screen) until a couple of days ago when I noticed Windows Explorer hangs whenever I try to delete a file, rename or do some to other things. Task Manager won't show it's not responding. Further tests prove only the current Windows Explorer window freezes and opening a new one will work but the window activity telling you the file is being sent to the Recycle Bin won't close and freeze on screen but you can minimize. I will just use task Manager to re-start Windows Explorer but I need to find the solution to the problem. I checked if my system needs a patch but no software upgrade is available (my system's always updated as it should always be). This also affects Firefox browser (or Internet Explorer) whenever I need to save a downloaded file since it also uses Windows explorer in the background. Asking google for solutions ended up with the question still unanswered "Windows Explorer has stopped working" problem. SmartBro "USB Modem is Unavailable" Error Problem and Solution? An officemate of mine bought a new SmartBro Broadban Internet plugit (a ZTE MF627) that doesn't work on her laptop, a Compaq Presario V3000. As the "resident evil" techie even with the IT Technical Support around, she asked for my help. The SmartBro receives a 3G signal (HSDPA) but everytime I try to connect to the Internet, a pop up window with error message says: "USB Modem is unavailable"
At first I thought it's a conflict with the Sun Broadband also installed so I uninstalled the softare using the Programs in Control Panel, tried again but the error remained. I then tried uninstalling the SmartBro also in Programs, then re-installed but again, to no avail, error remains. Note that Device Manager reports no error, conflicts or driver problems. For now I'm downloading the ZTE MF627 driver for Windows XP/2000 (there alre also available free ZTE MF627 driver downloads fro Linux, Macintosh (Mac), even Windows 7. If the new driver fails, there must be something with the notebooks hardware or software installation that's incompatible with the ZTE USB modem or needed a patch/software upgrade. with several error messages and crash reports, I switched to HTML version (though you can also switch to the older version with chat) to remedy the problem until Google fixes it. Using HTML version is also lightweight but you need to check your emails manually to refresh and update unlike the standard version. I'm using the latest version of firefox and i initially suspected one of my add-ons messing up. Now this is showbiz but not your typical showbiz fodder. Heard on Showbiz Central that DJ Grace Lee, that loveable DJ of magic 89.9, met an accident in Korea while skiing. Skiing in itself is dangerous but I heard the details narrated by DJ Mo this morning during my daily drive to the office that Grace attempted to ski on a course for advanced/intermediate level and hurt herself in the process. Imagine Grace in bandages with broken arms (or ribs)...that must've hurt...and Grace Lee must've really cried due to the pain. Grace Lee, take care of yourself will you? Though I i really don't like showbiz, you're one of those faces I'd love to see. You're more Filipina than most Filipinas I know when it comes to loving our country even if you're really Korean. I just can't hide the fact that I'm such a huge fan of NBC's Heroes tv series. The very much delayed broadcast of the hit series on RPN 9 on Monday nights I also patronize just to get my Heroes fix. For now i can't find the latest news about Heroes from NBC due to poor ratings of such an expensive series. Yeah, I'm one of those wishing Peter gets his full powers back and a collosal battle with a supervillain but I know special effects are expensive thus limiting the budget probably why the fight between Sylar, Peter and his brother was not shown. When can i have my dose of the latest Heroes Season 5 Episode torrent/free download since I can't watch Heroes episodes onlin here in the Philippines. Why Don't I Receive Text Messages to My Sun Cellular? I was informed of this lately when I sent SMS to several friends but no replies arrived. Then another day when I was aked why I didn't reply to her text message? most of them offer free installation, costs of spacers/accessories vary from P400 to P800 for a 1-DIN HU to be installed in a 2-DIN car stereo slot on the dashboard. Some of these units have video/DVD and TV tuners but not recommended for drivers, so i prefer music-only HUs to avoid dangerous distractions. Car-mount GPS unit with 4.3 inches display, speaks street names but is kinda slow to respond to touch commands. JPEG viewer. comes with dash-mount kit and car charger (no Garmin mapsource CD installer), 1s track log recording (diagnostic logging mode) but I still can't find the data storage folder for the hidden tracklog. I got it installed with OpenStreetMap (a free GPS map of the Philippines) accurate in Quezon City, Makati where I initially tested it. Garmin Nuvi Price in Philippines is about P7000.00 but local support/service centers not that many so you should know where to take your Garmin products for repairs. 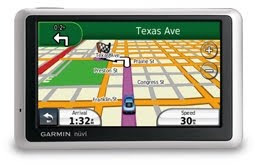 This would be the initial post about the Garmin Nuvi 1300, watch out for more!